DISTRICT NEWS. 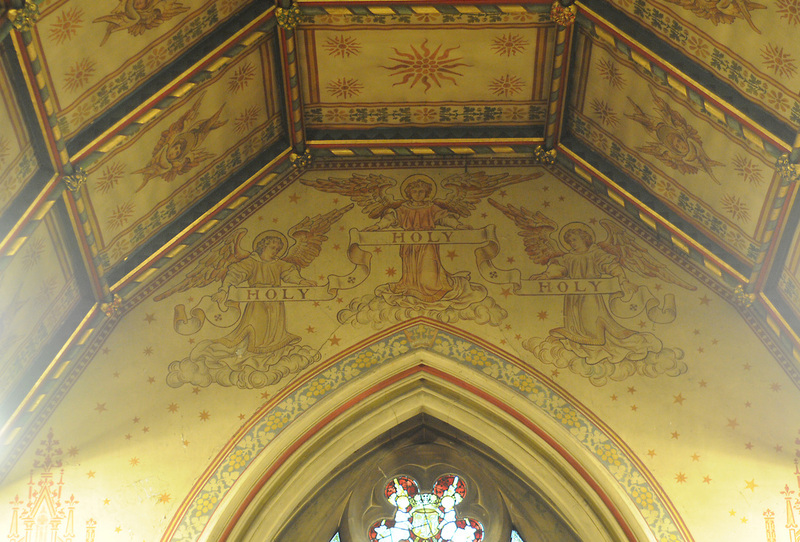 MALVERN. 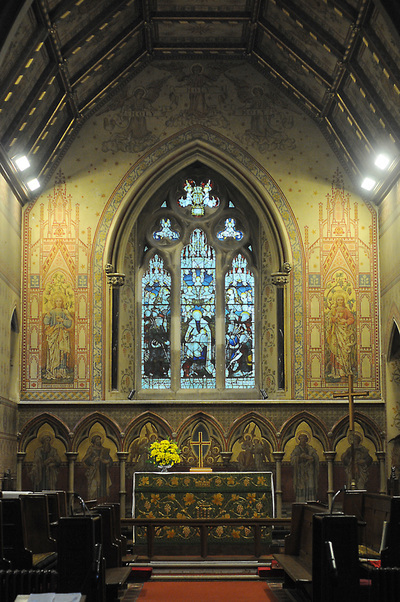 HOLY TRINITY CHURCH. 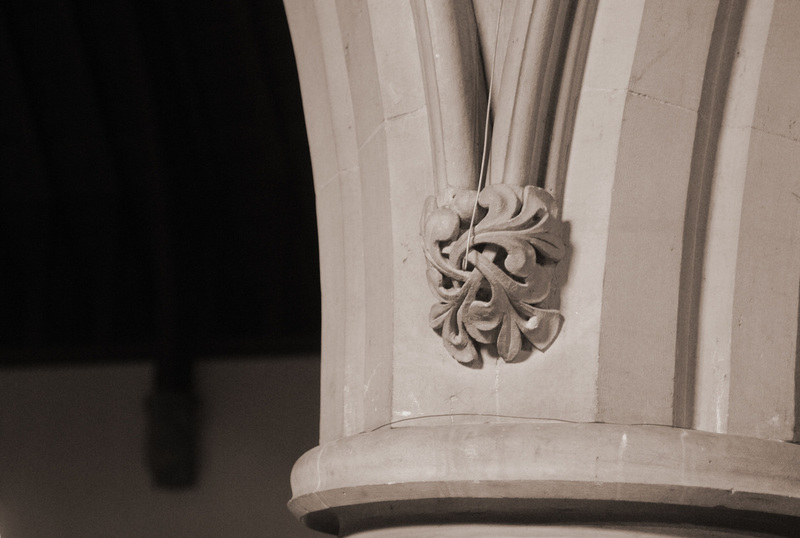 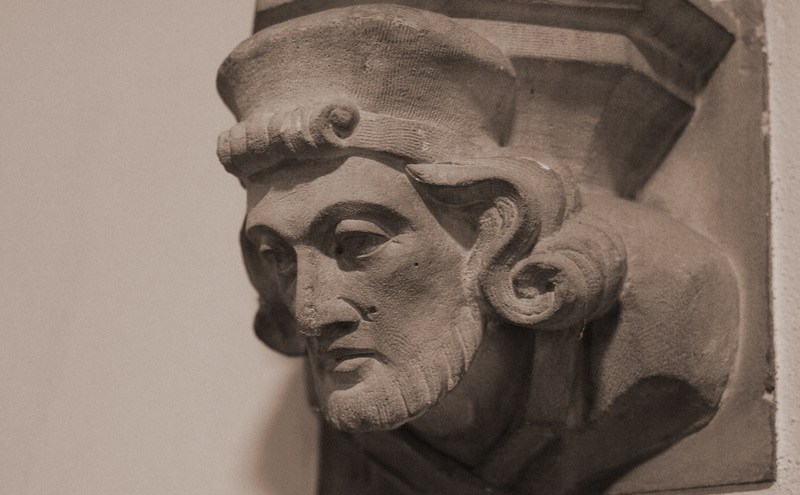 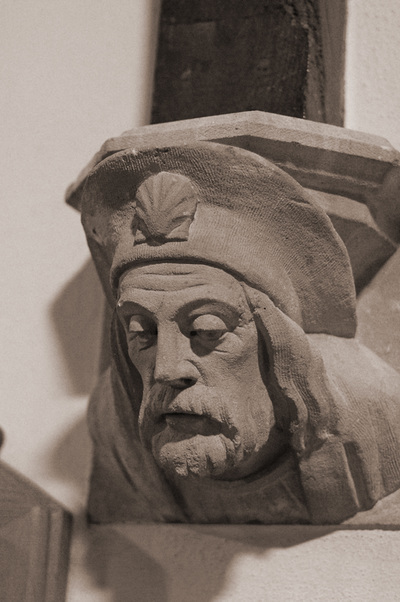 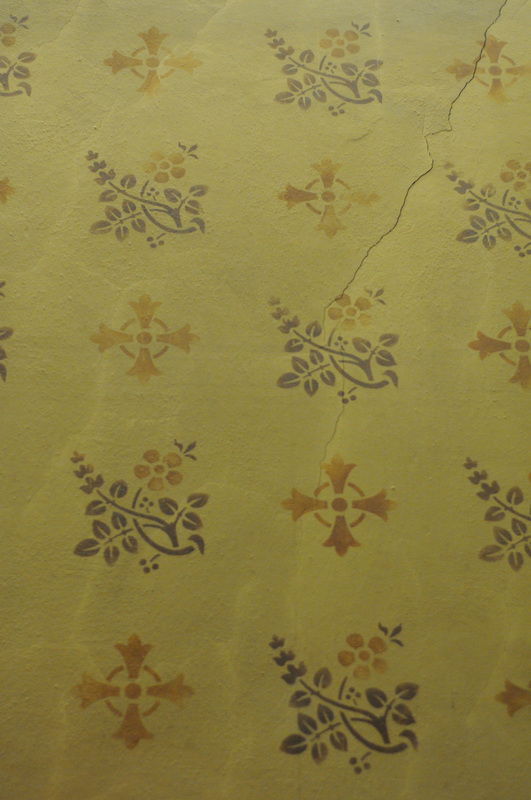 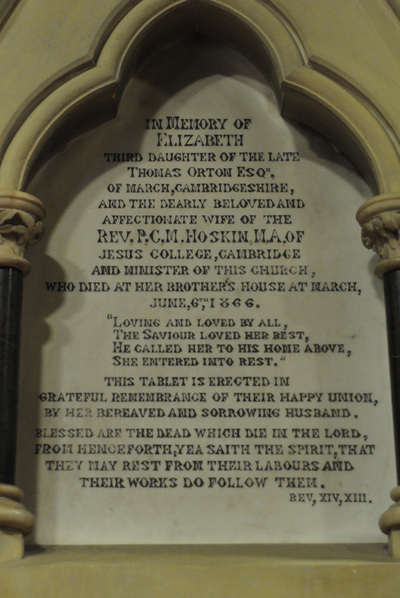 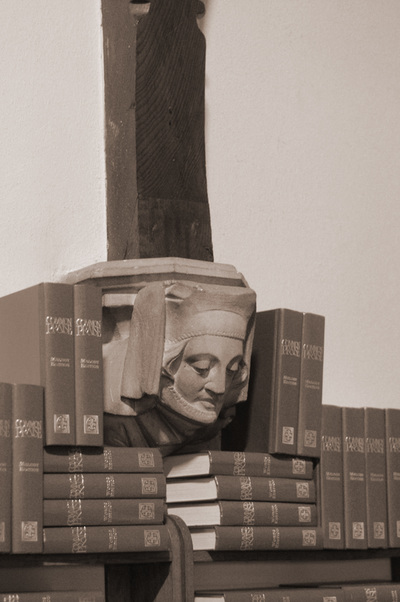 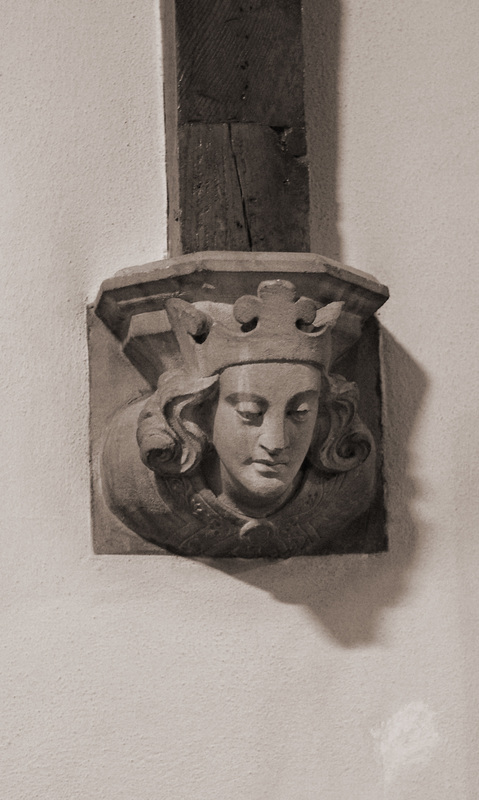 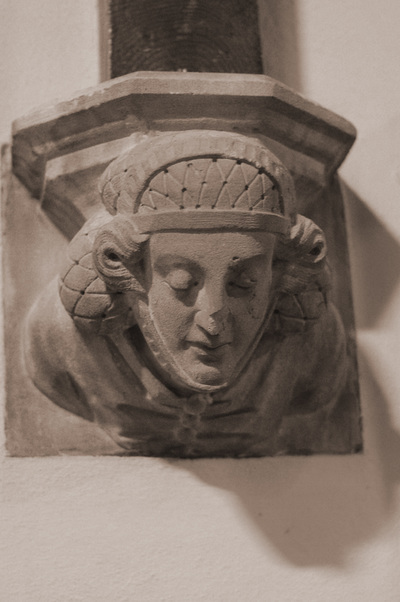 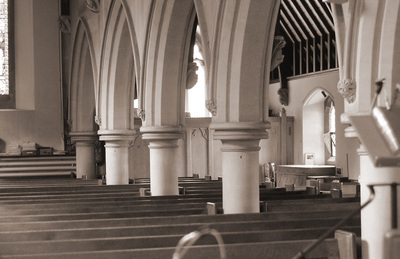 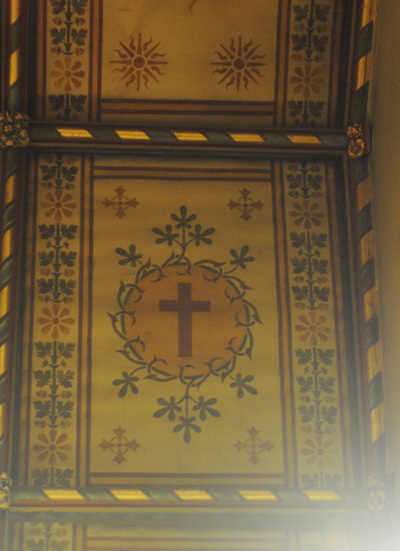 "...improvements in the way of elegant decoration that have just been made in the chancel of this church. 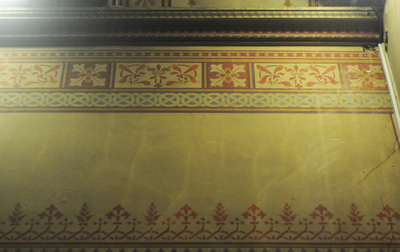 The carrying out of the whole of this elaborate work reflects great credit on the artistic taste and skill of Mr. 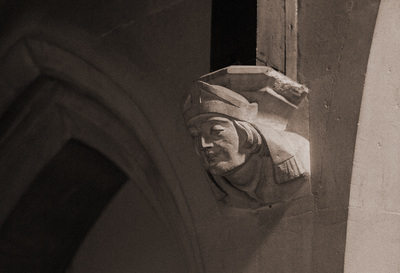 Forsyth." 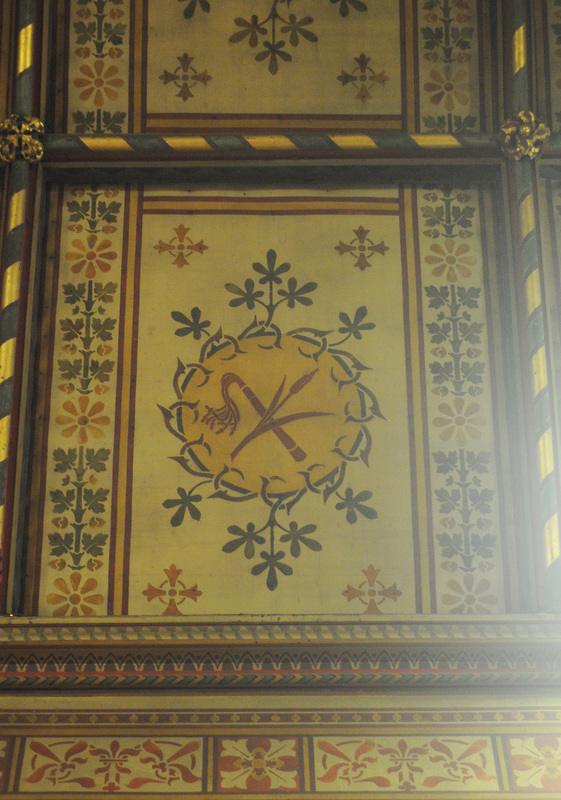 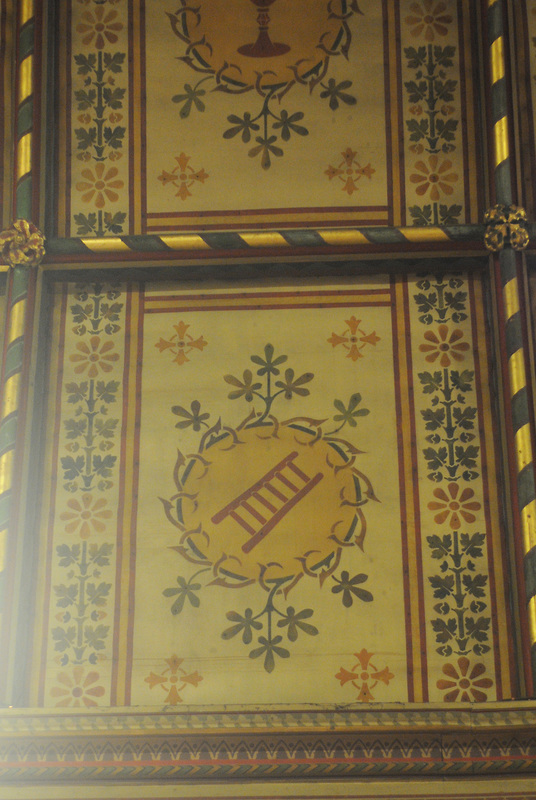 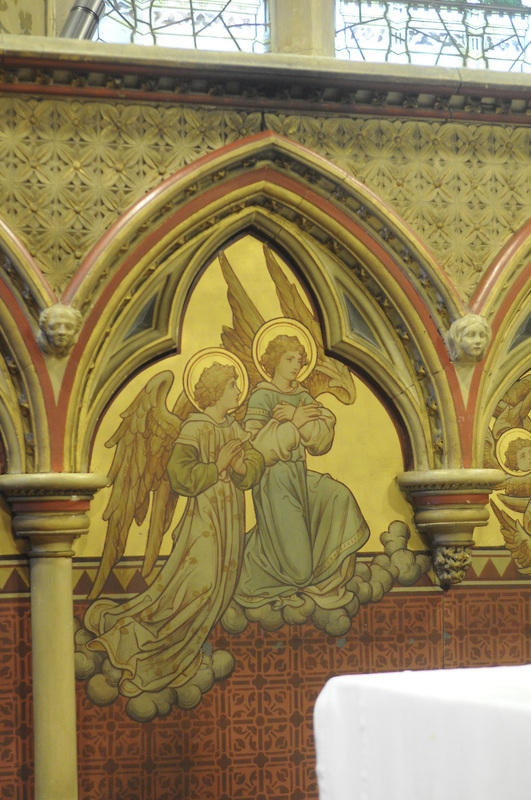 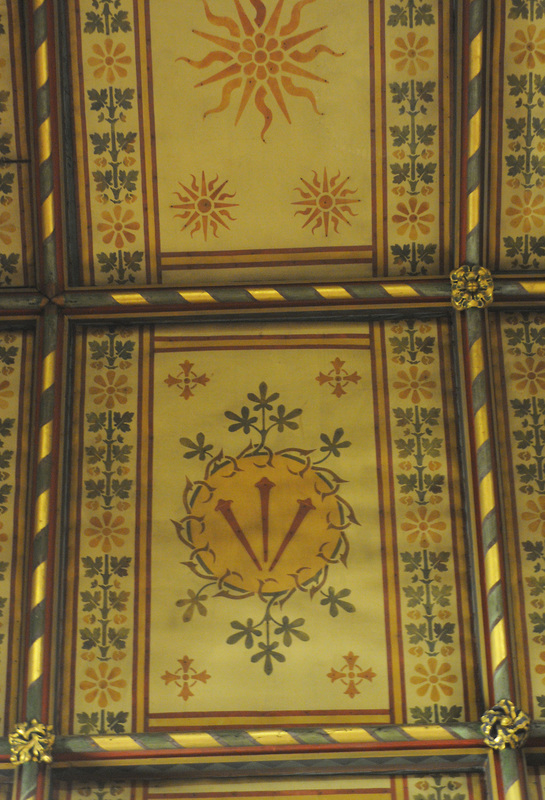 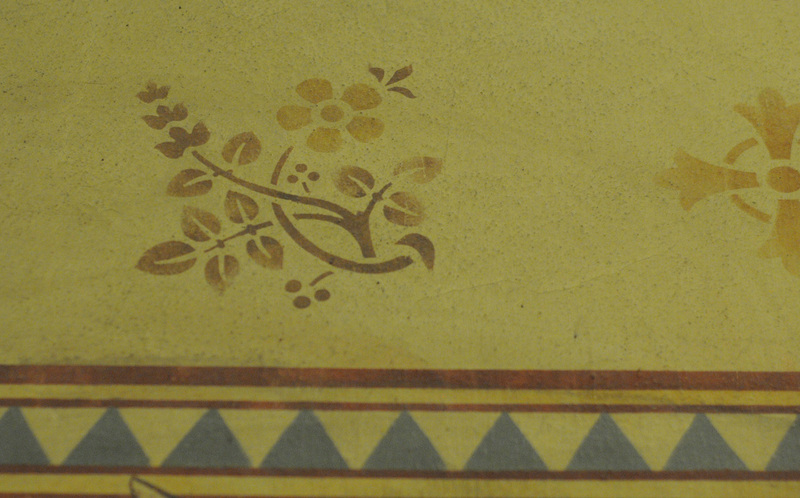 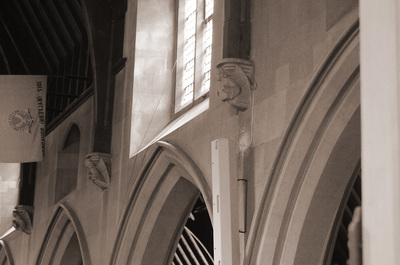 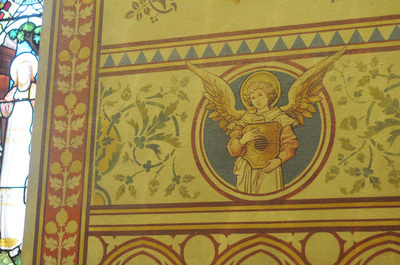 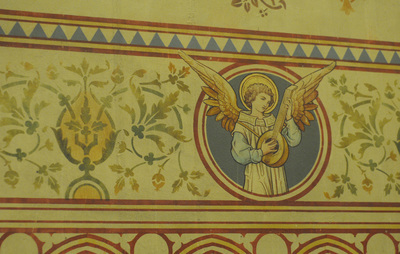 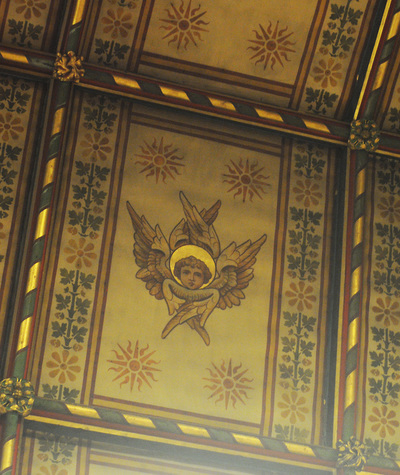 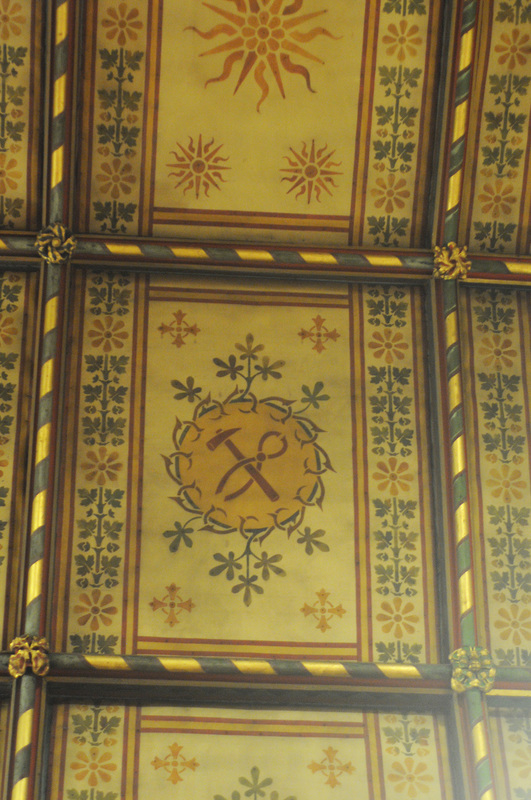 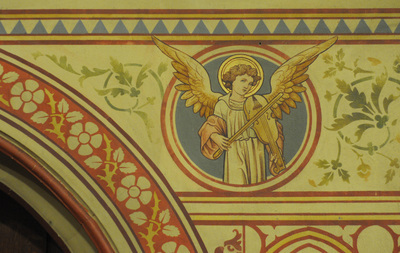 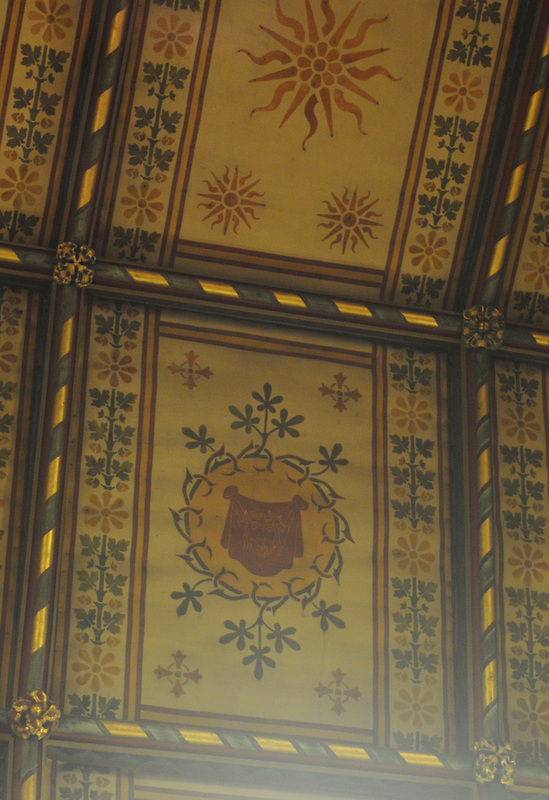 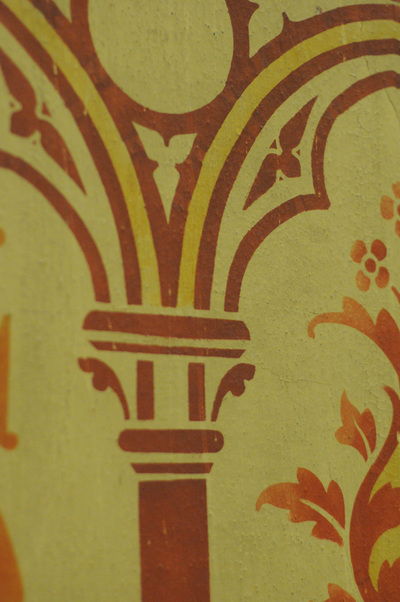 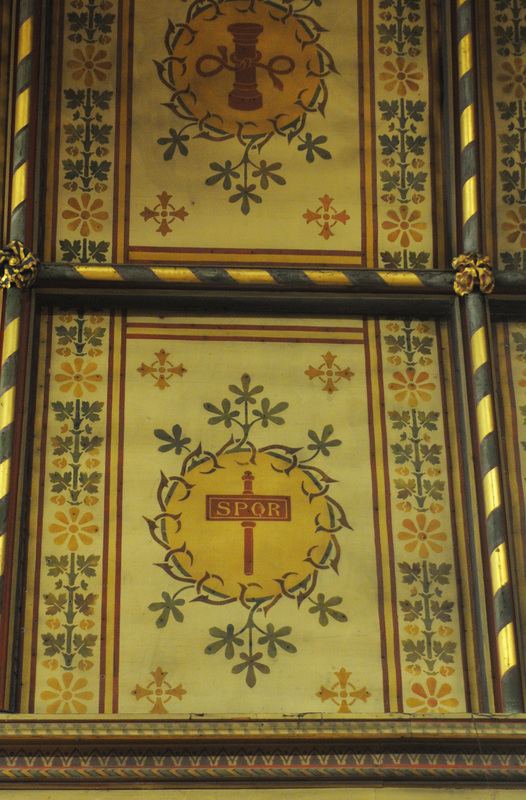 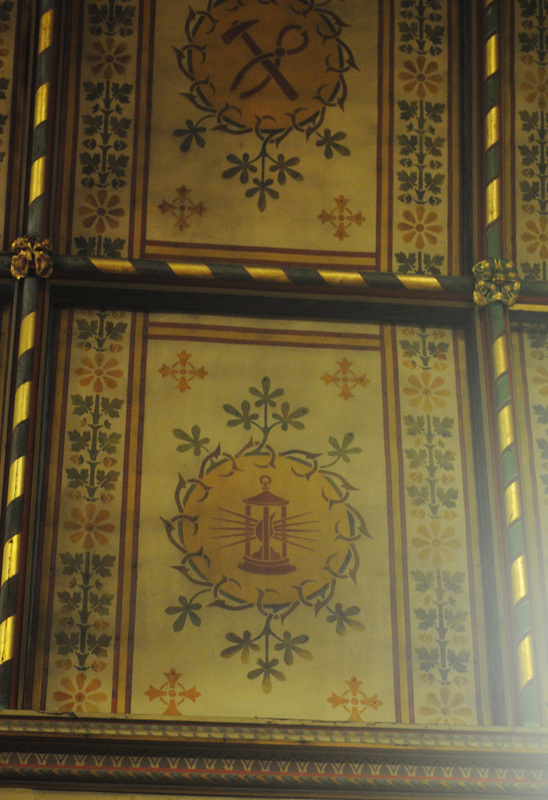 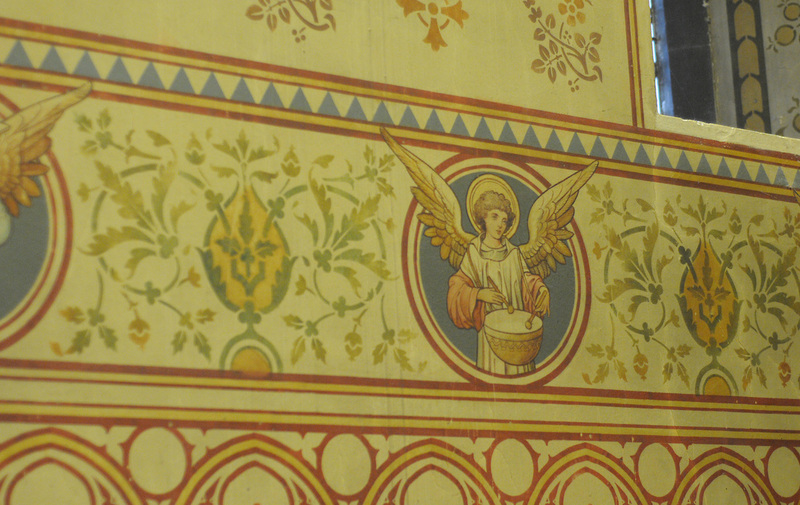 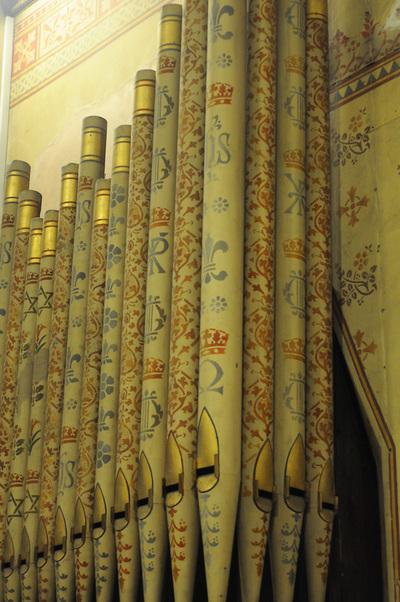 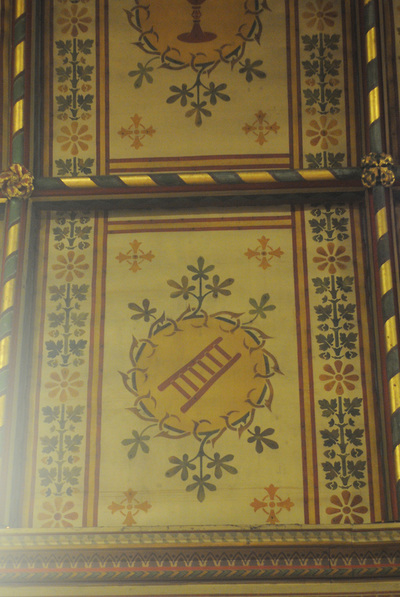 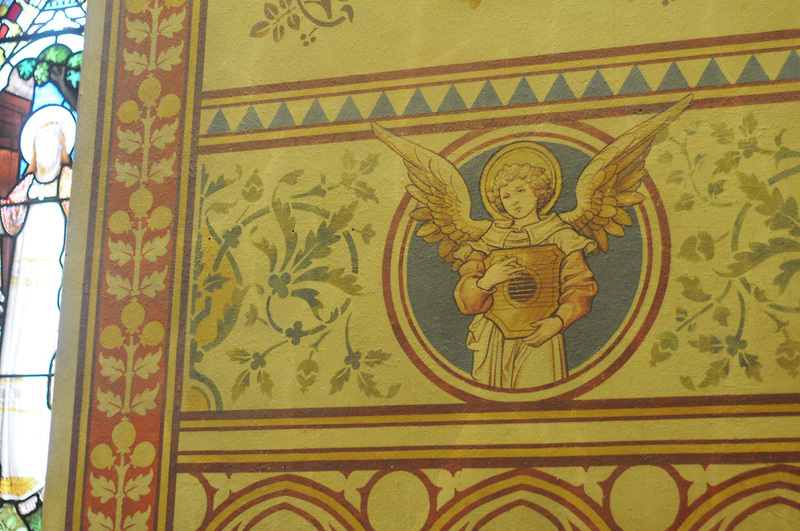 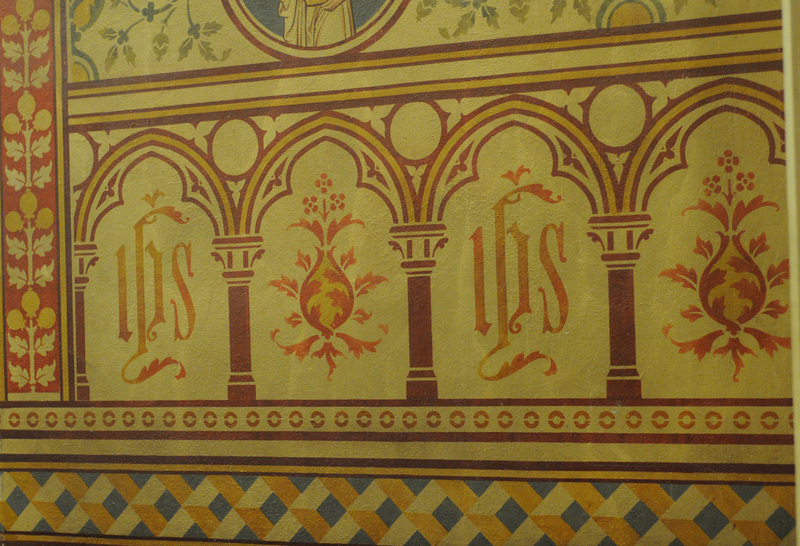 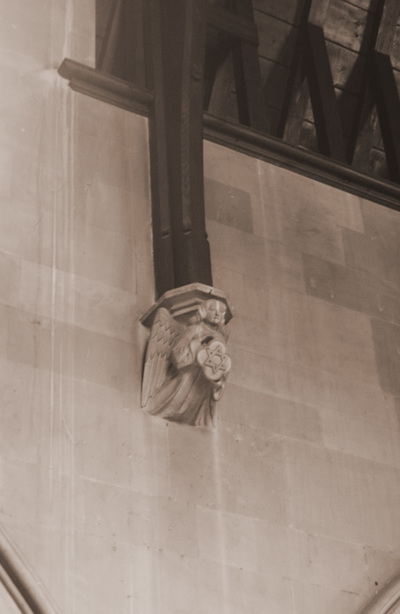 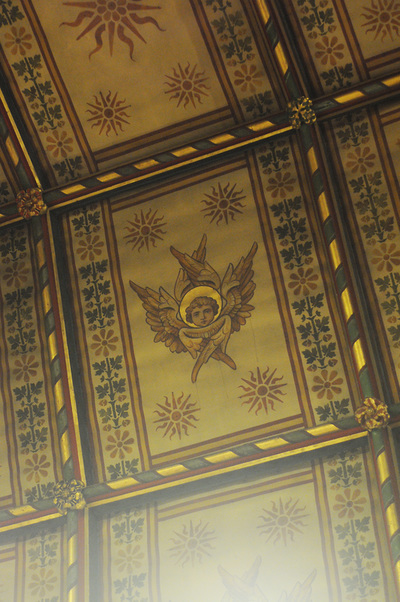 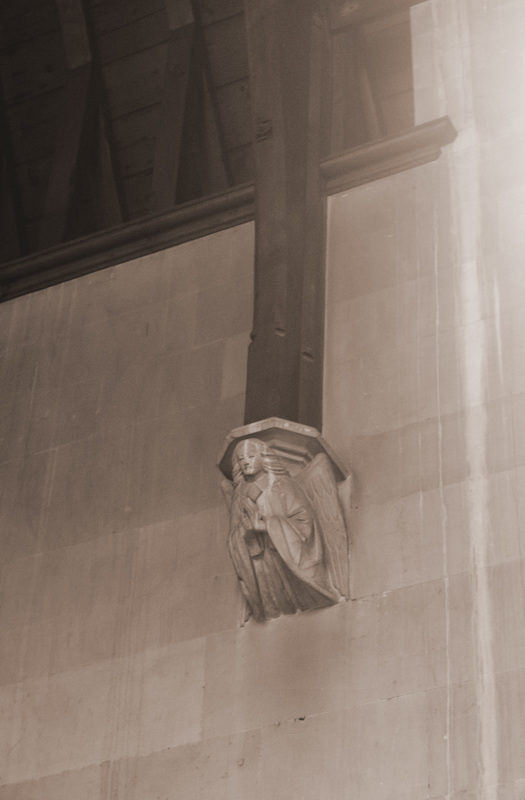 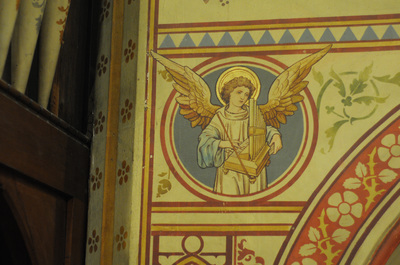 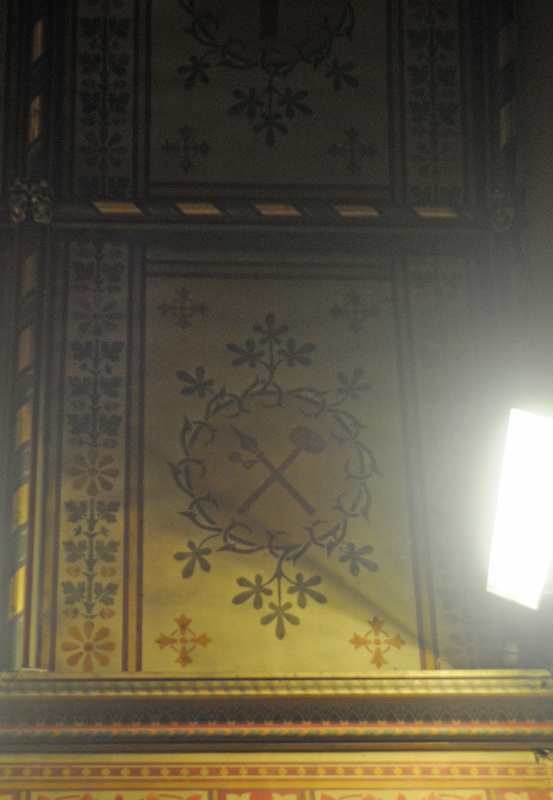 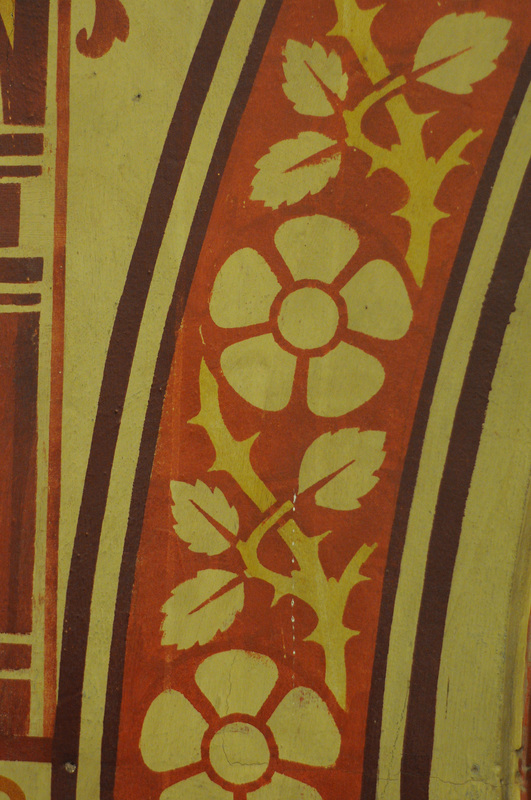 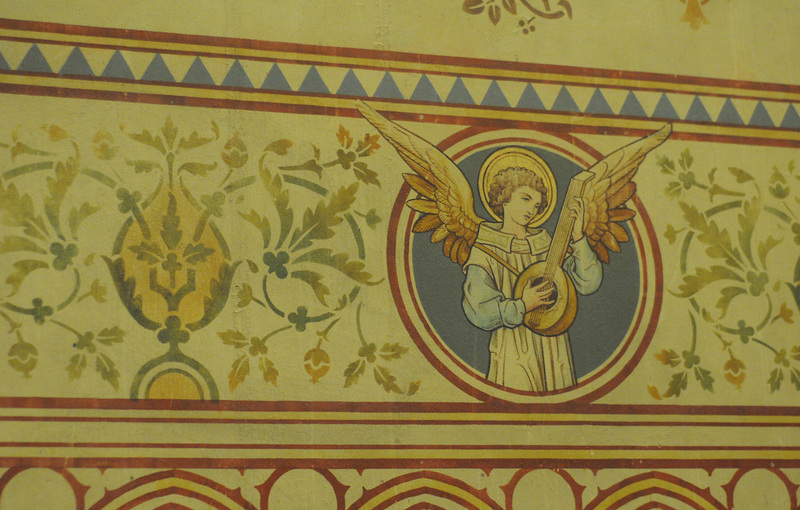 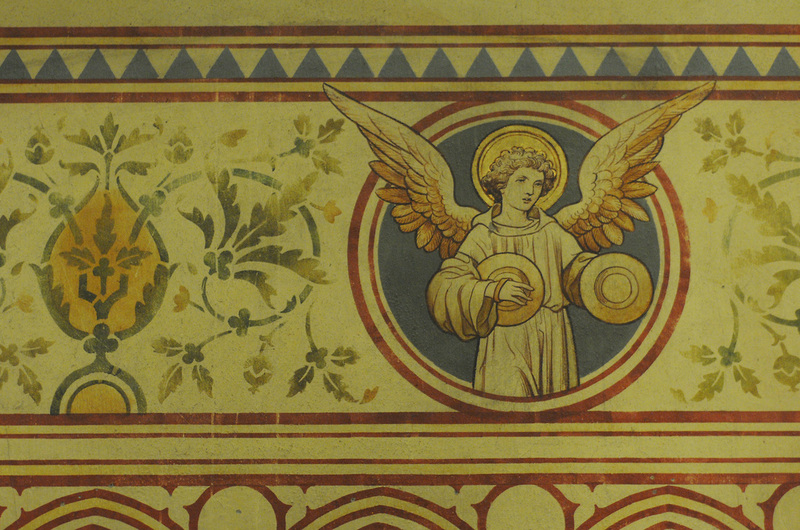 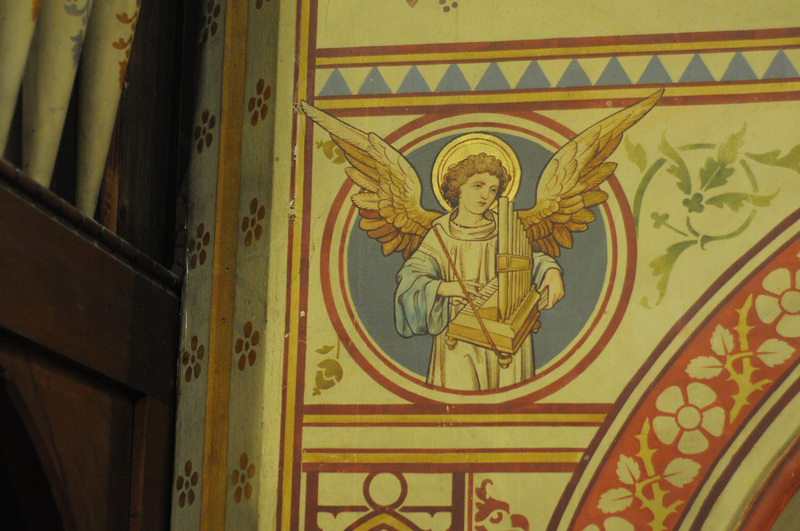 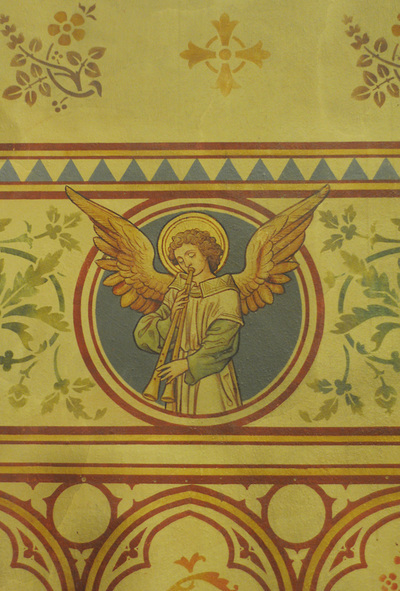 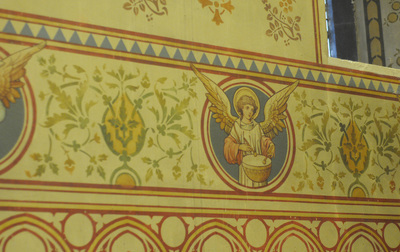 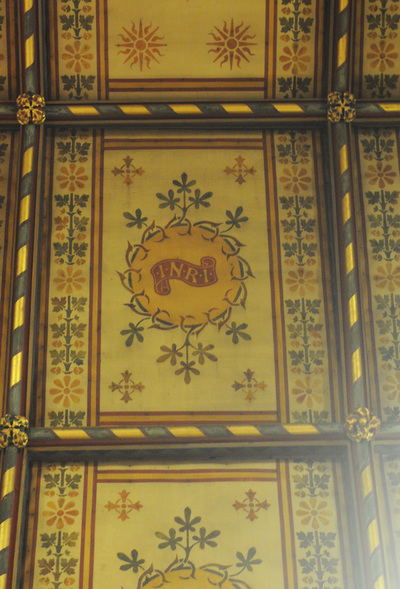 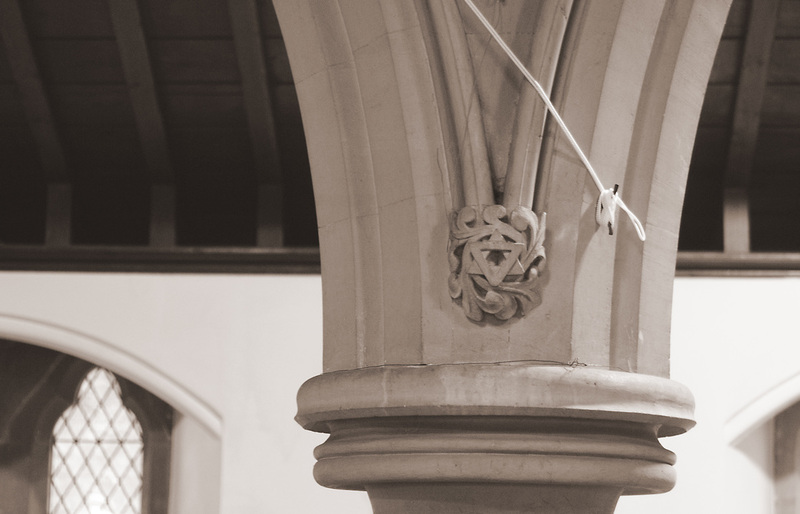 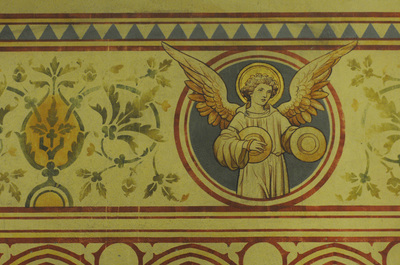 [Worcestershire Chronicle 10.04.1872] "
...the walls and panelled ceiling of the chancel are also richly decorated with stencils showing music–making angels, holy initials and instruments of the passion etc by W. Forsyth of 1901. 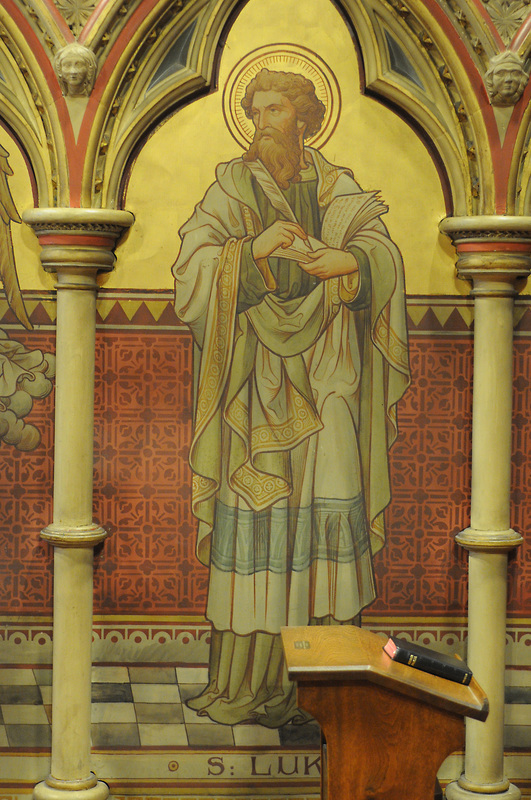 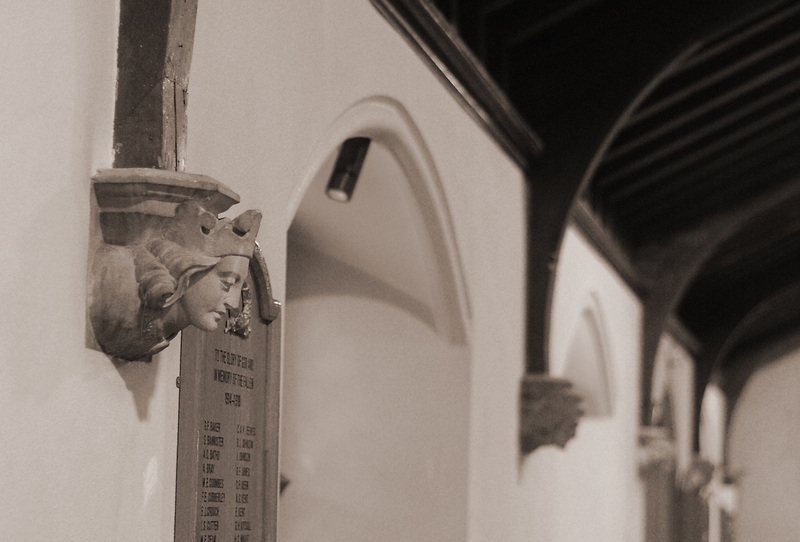 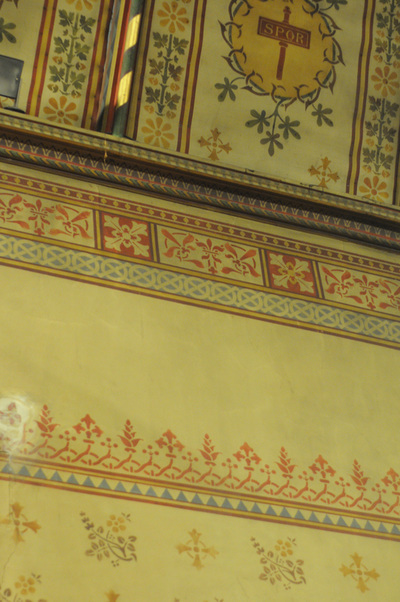 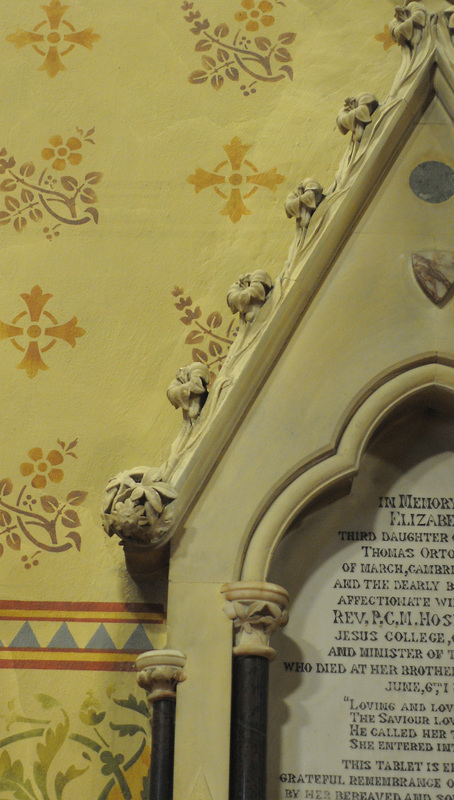 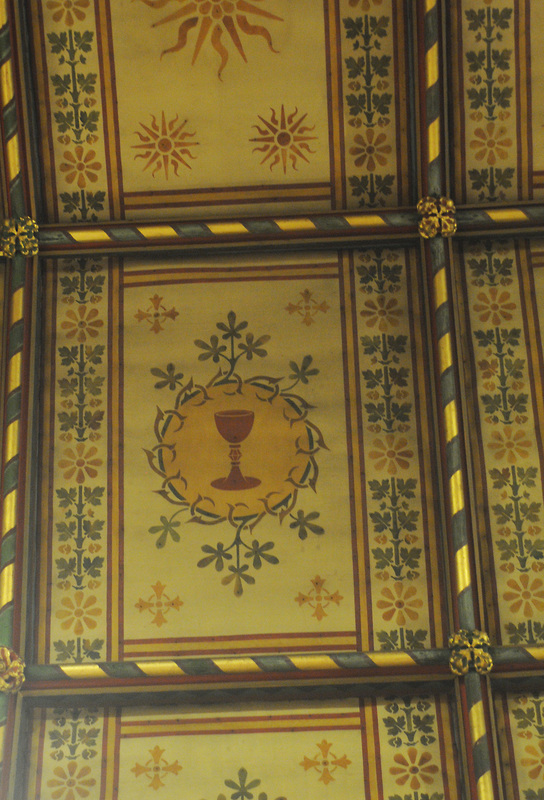 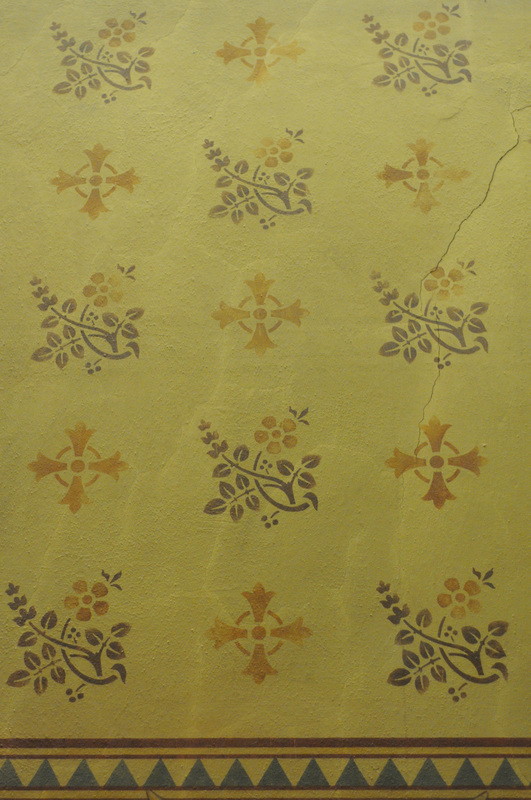 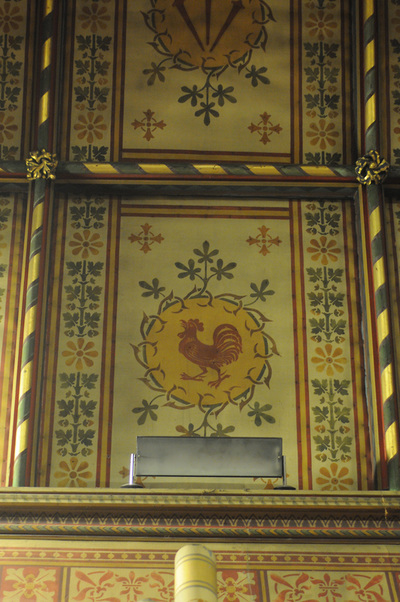 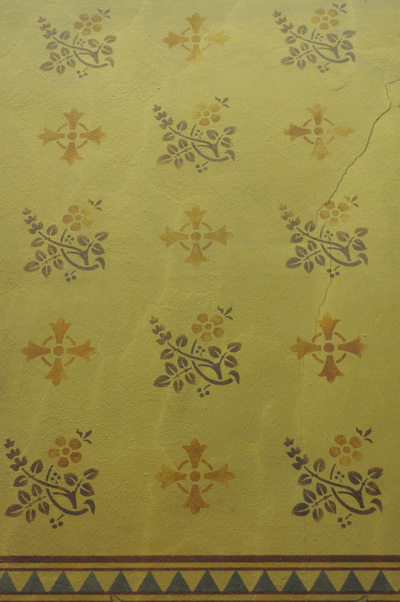 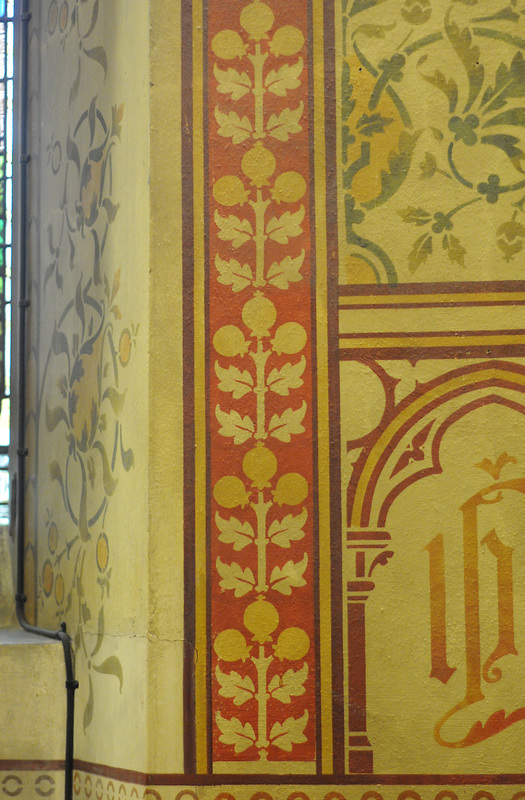 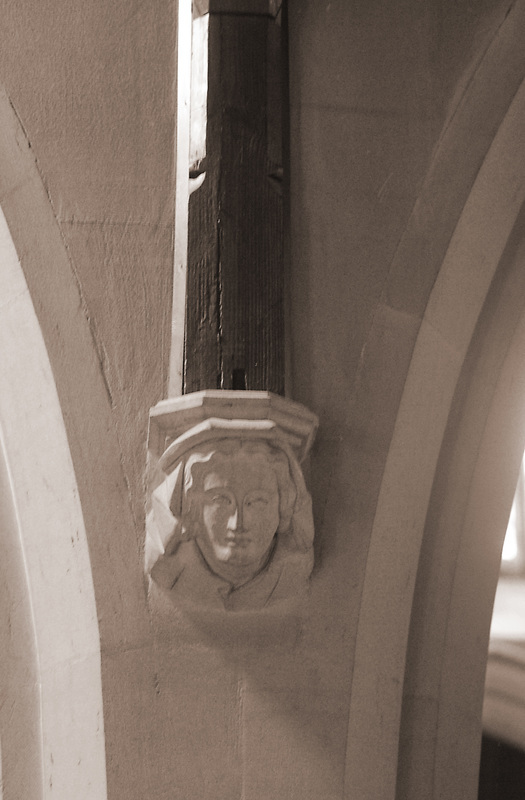 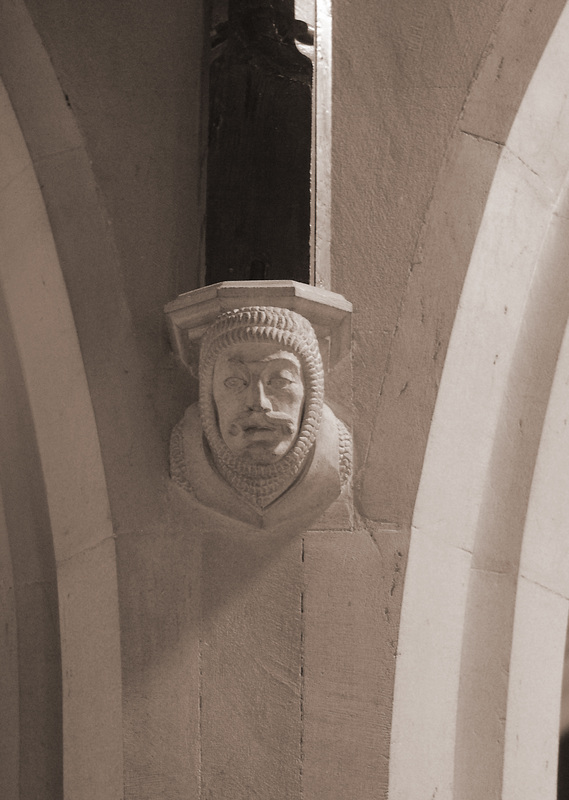 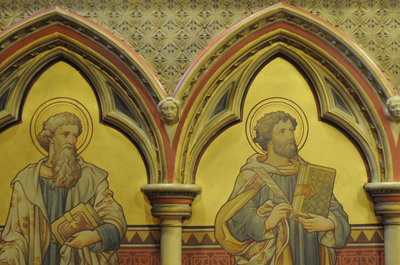 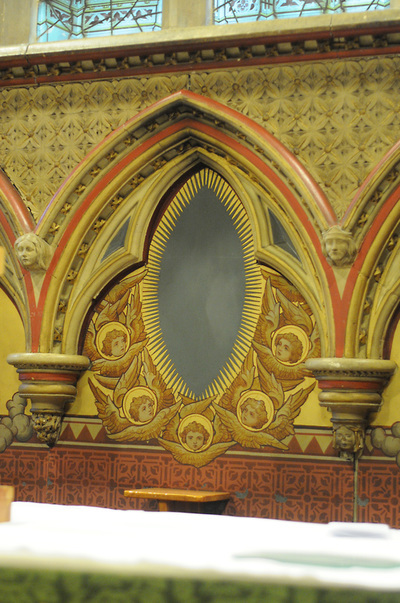 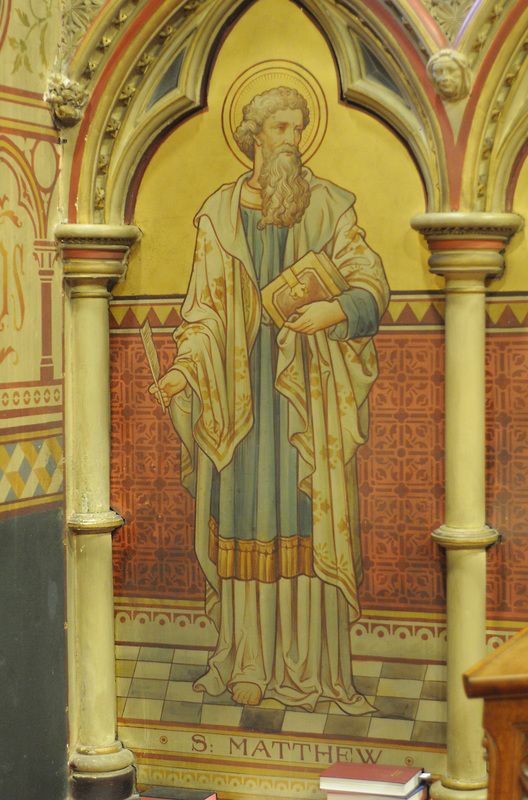 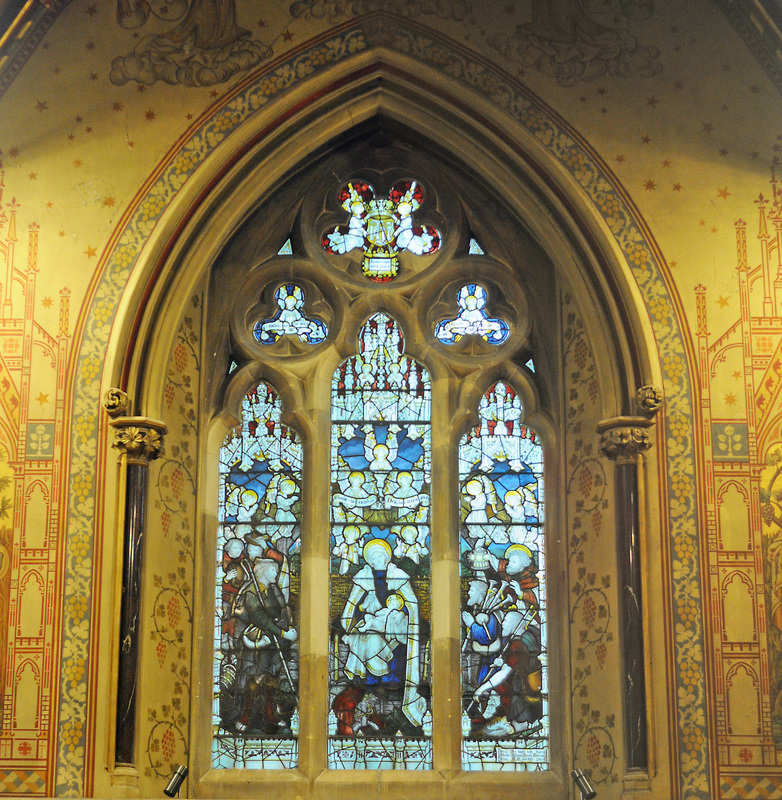 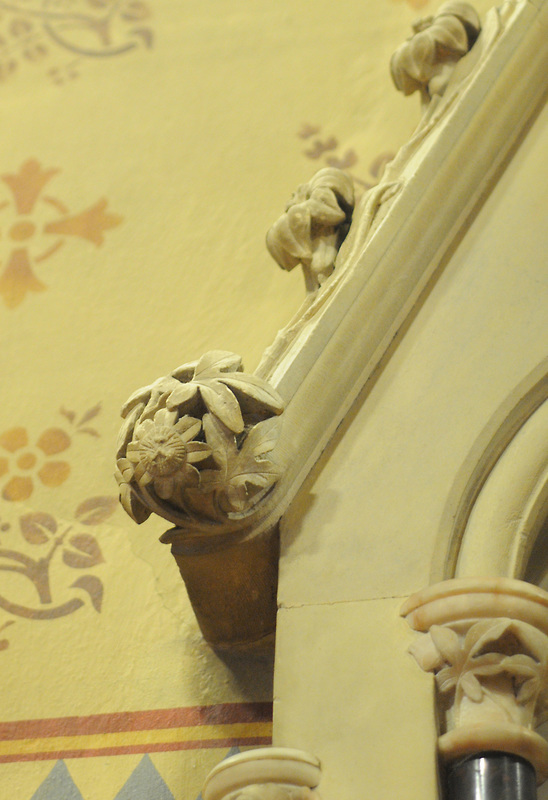 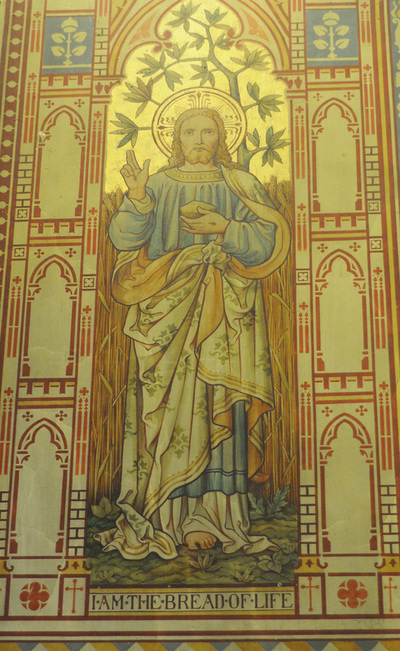 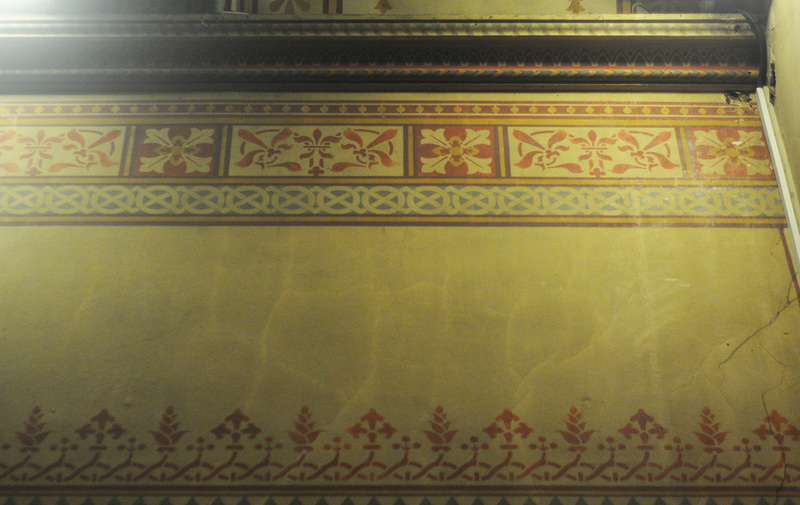 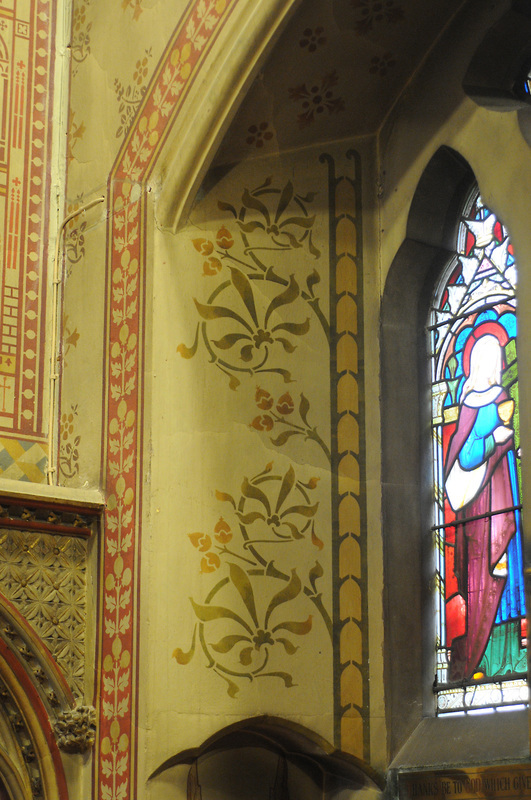 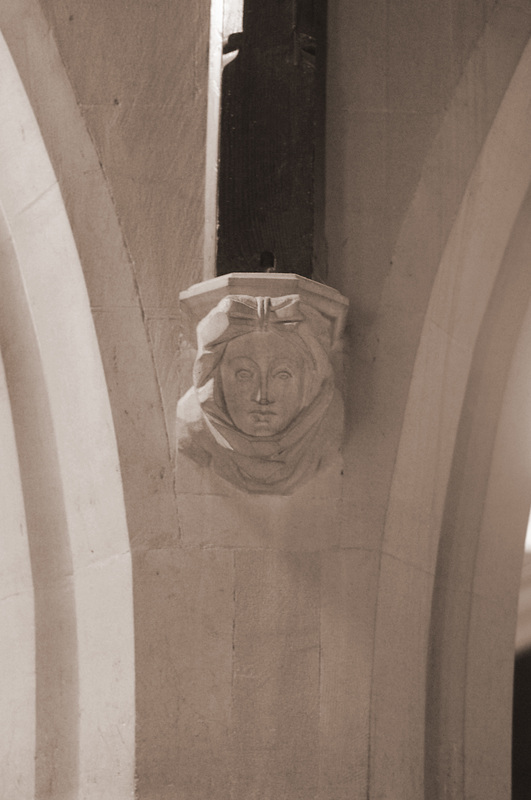 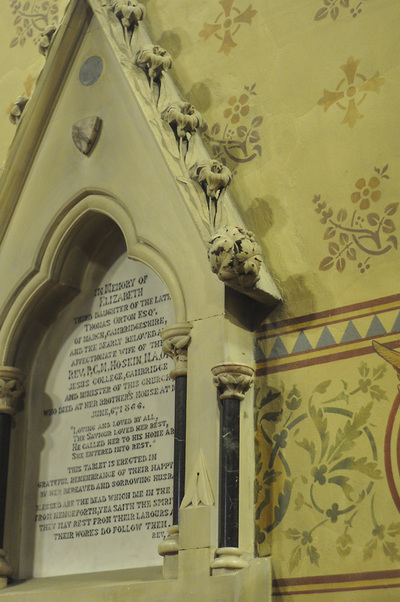 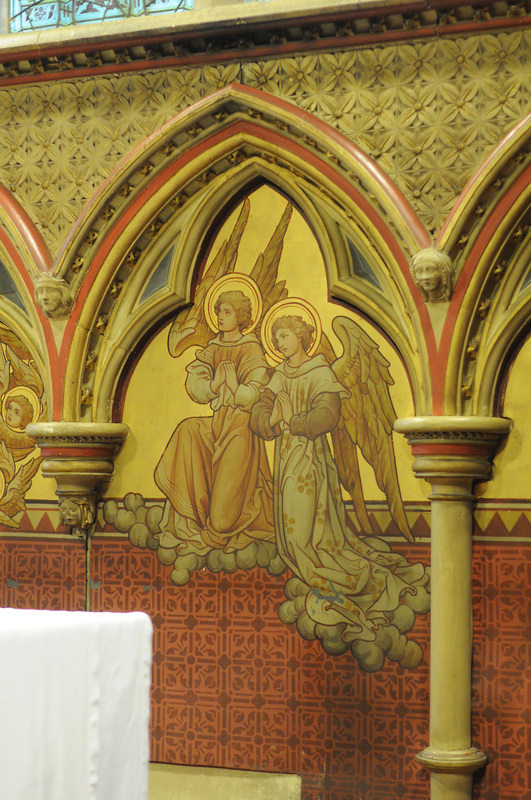 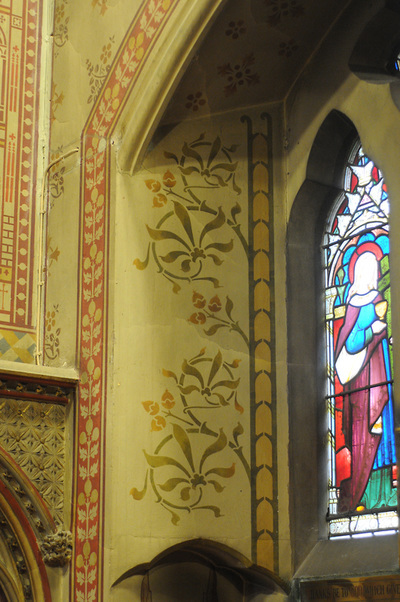 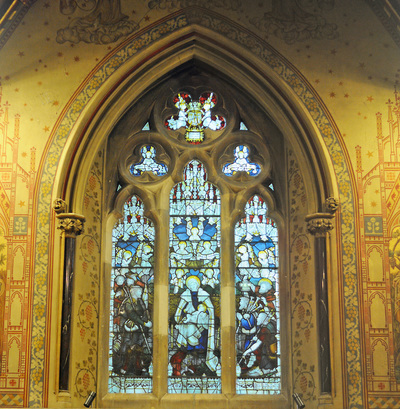 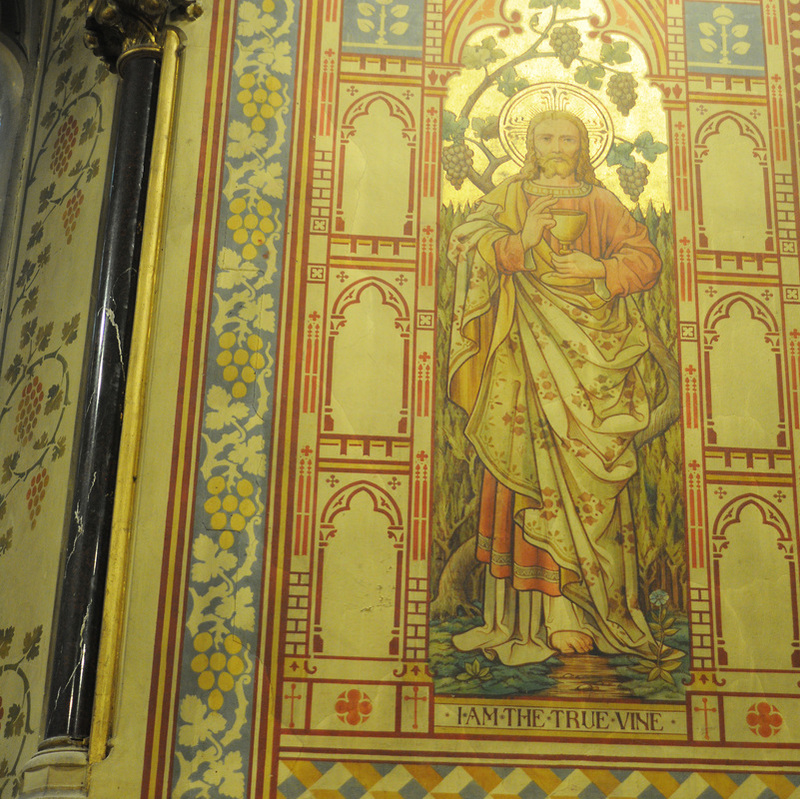 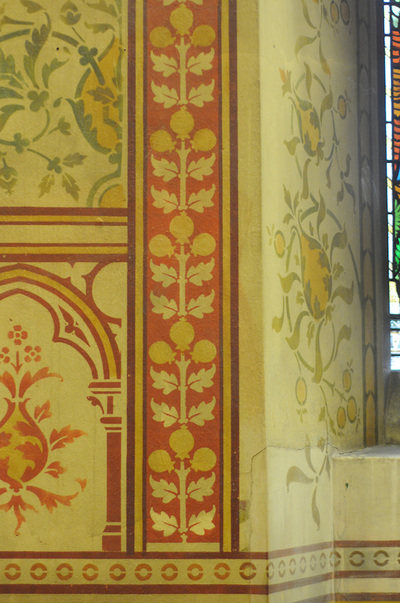 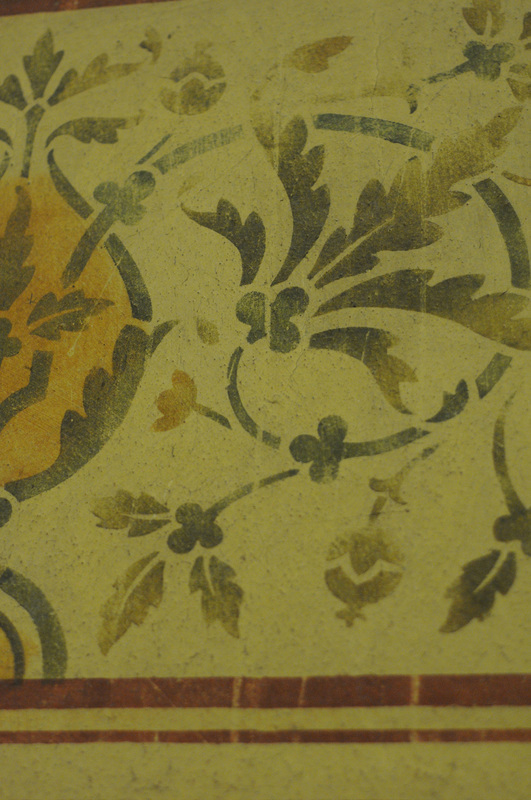 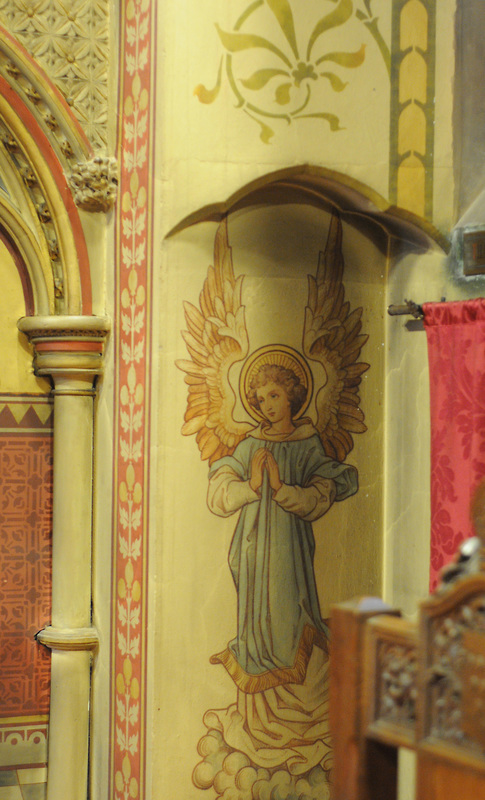 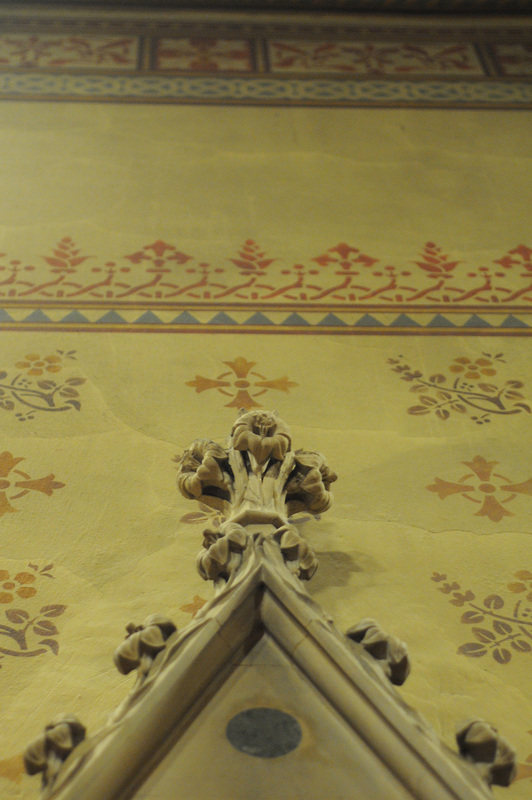 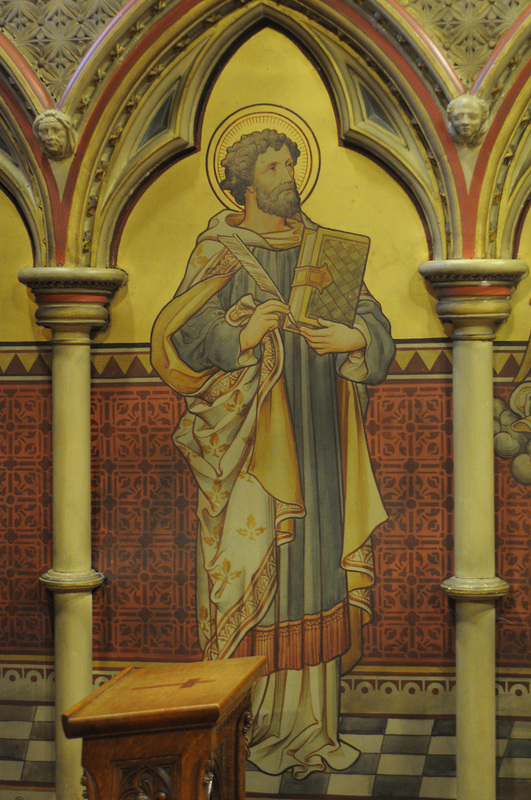 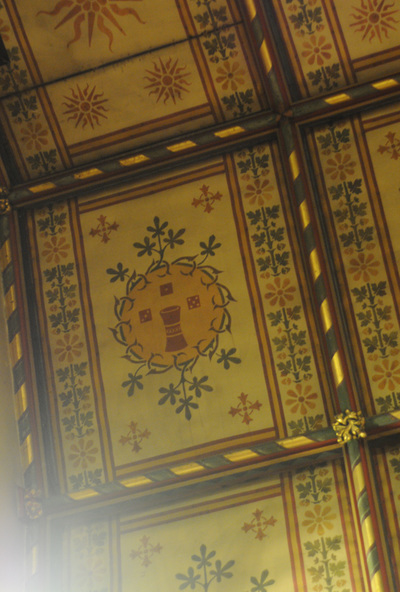 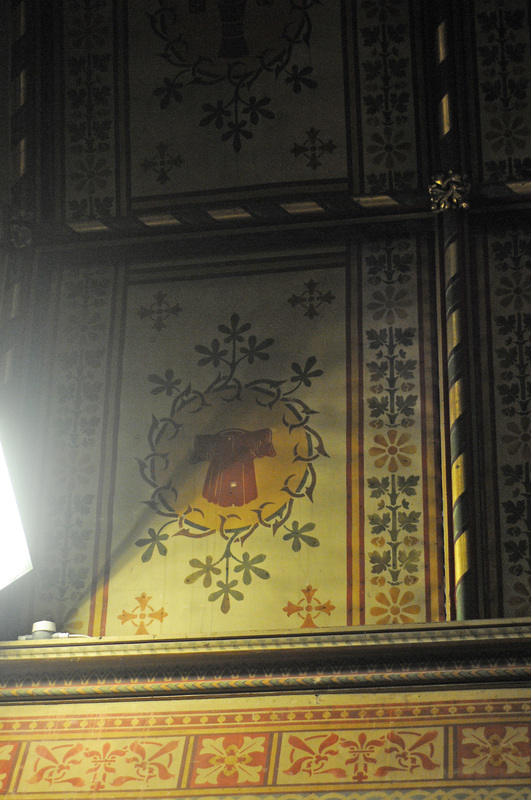 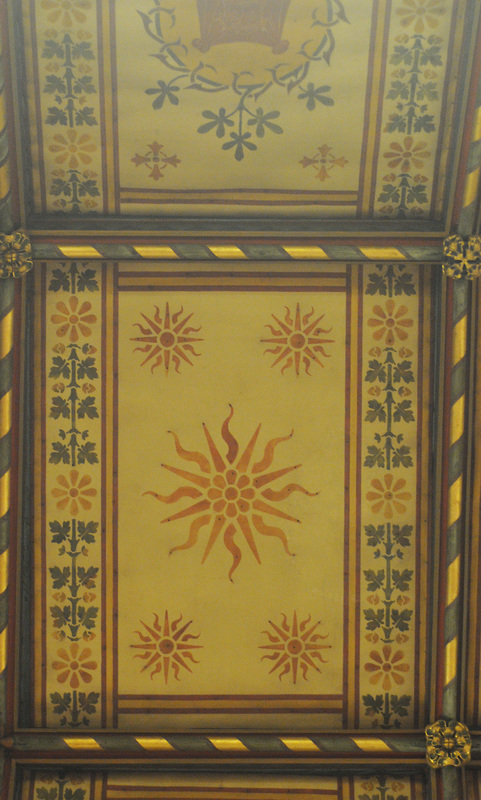 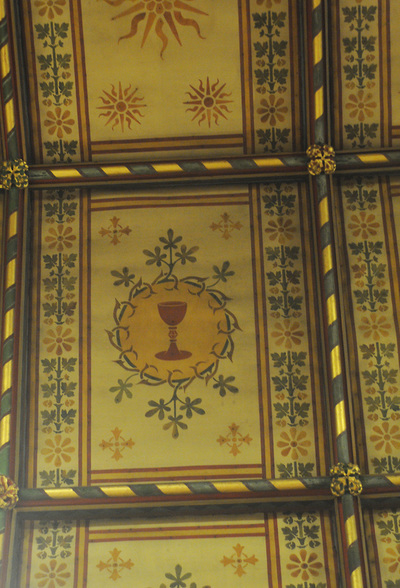 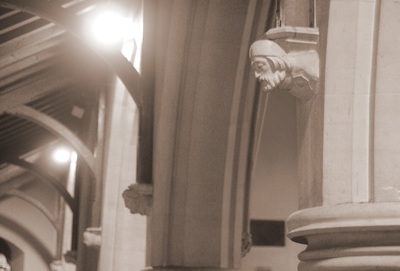 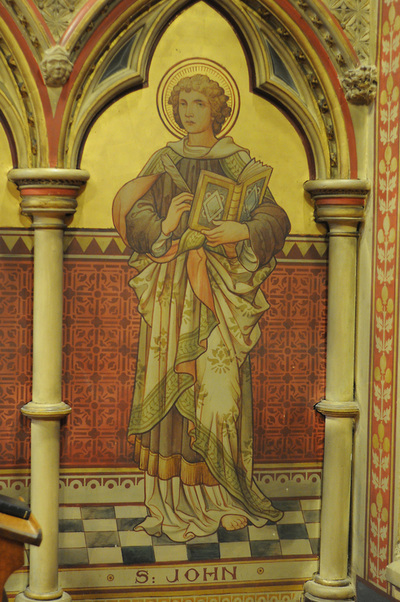 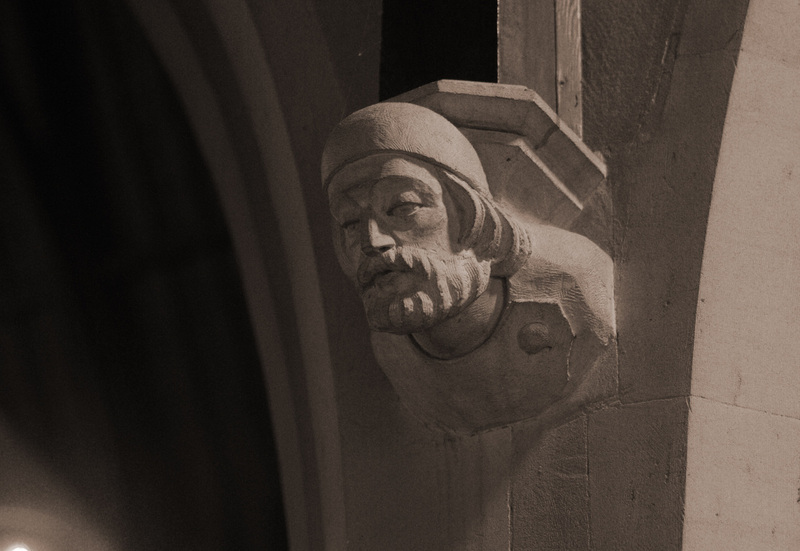 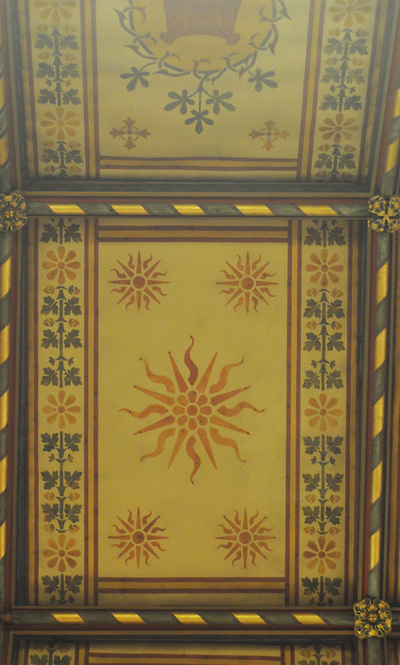 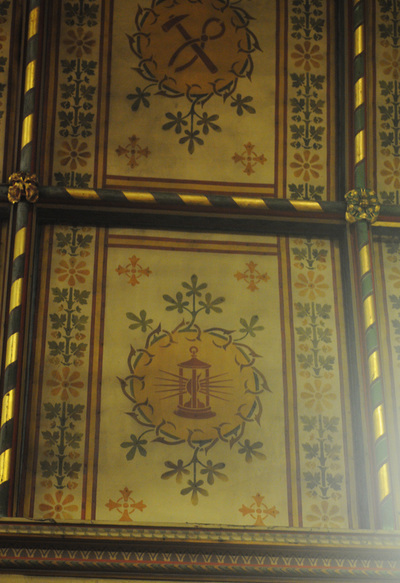 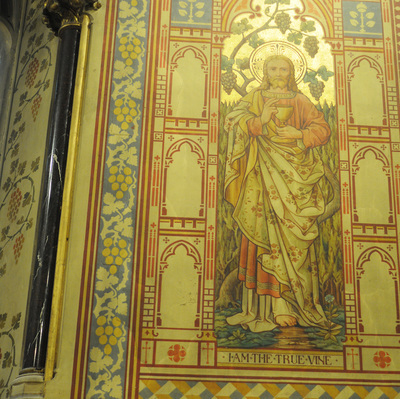 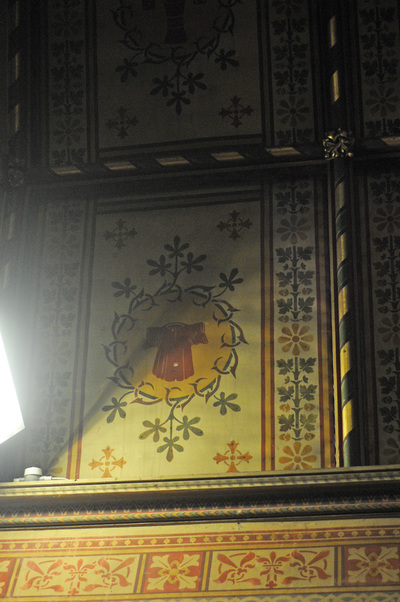 ...the chancel was stencilled by W. Forsyth in 1901" [English Heritage].